In Italy and abroad, Friuli is well-known for its wine, but centuries of farming have yielded many more products from this fertile land and one of them is, surprisingly, beer. Its name is Gjulia and it’s produced by a branch of the winery run by Marco and Massimo Zorzettig, whose company has a long tradition in Friuli. Gjulia is the first “farmer’s ale” produced in Friuli Venezia Giulia: this term defines the products that are made with at least a 51% of home-grown ingredients. 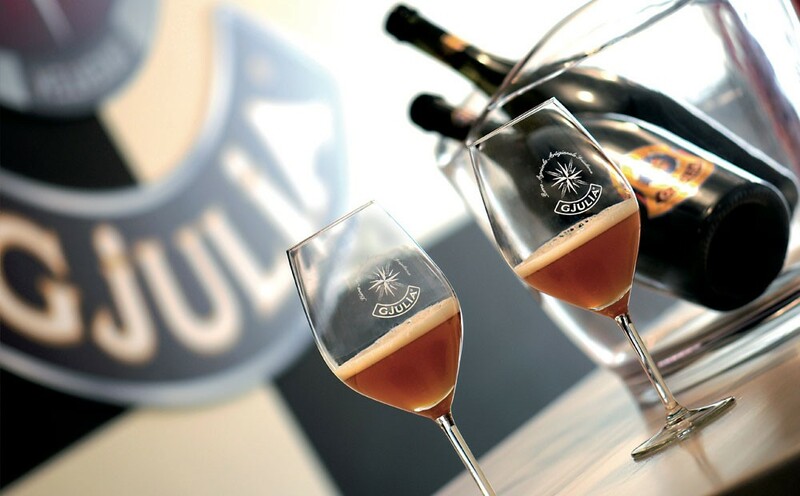 For the production of the beer Gjulia, 90% of the ingredients are made in Friuli Venezia Giulia, starting with the barley that is used to make the malt to the water that constitutes 95% of this beer and comes from the Alps and the valleys of Natisone. This beer is also produced through an artisan process, not pasteurized and not filtered, and its development is directly controlled by Marco Zorzettig. Birra Gjulia 2016 (english) from Altùris ssa on Vimeo. 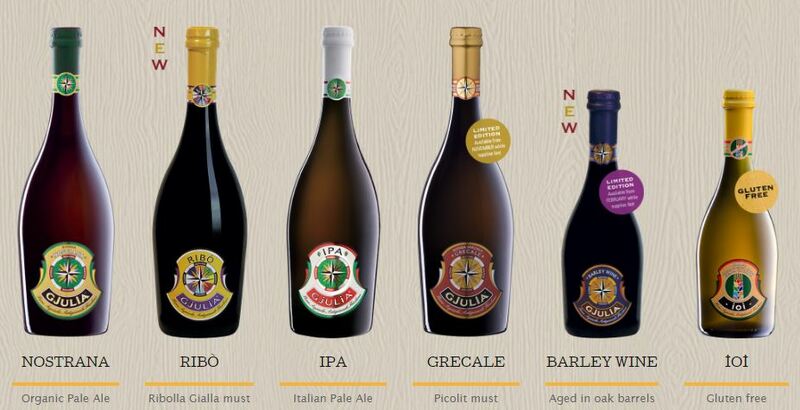 “The special care we take in our production process and our production volumes which are not massive allow Birra Gjulia to differentiate itself completely from the industrial products and to offer an artisan, high-quality, ale”, says Marco Zorzettig. While the Zorzettig do not produce for the great distribution or for a mass market, their portfolio is nevertheless articulated: the two brothers Marco and Massimo, together with the beer artisan Mirco Masetti, have created four types of ales: Nord bionda (Aquilonis), Est bianca (Orientem), Sud nera (Meridiem), Ovest ambrata (Occidems). Among the most recent proposals from the Zorzettig brothers, there are also the “Barely Wine” a limited edition meditation beer, with intense and complex scents with notes of dates and bourbon vanilla; the new organic beer “Nostrana”, made with organic barley and malt; and the gluten-free beer “IoI” which is distributed in supermarkets as well, to reach a broader audience and also allow people who are gluten-intolerant to enjoy a fresh farmer’s ale. Besides, they have a special blond ale, called Grecale, with a limited production of around 5,000 bottles. This beer is the most “Friulan” of all, since the mix of the ingredients includes a 5% of Picolit grape must, a sweet wine typical of the Eastern Hills of Friuli. “We distribute our ales in restaurants and wine shops, but the Italian beer, or better the beer from Friuli, is well recognized and appreciated all over the world as an expression of the good healthy Italian drinking culture and our company’s goal is to expand and sell internationally too, in particular in Germany, Austria, Switzerland, California, Japan and China”, says Zorzettig.